This great coffee comes from Colonia San Ignacio, Carrasco La Reserva County – some 1600 meter above sea level in Bolivia – and we were astounded! Café Montaña has a remarkably balanced cup with nary a trace of bitterness. It has a delightful milk chocolate overtone that is enveloping and comfortable – with some very distinctive tangerine notes. The Drumroaster coffee folks roasted this a tad on the light side – probably a minute or two after first crack – and they appeared to be getting the best possible profile on this bean. 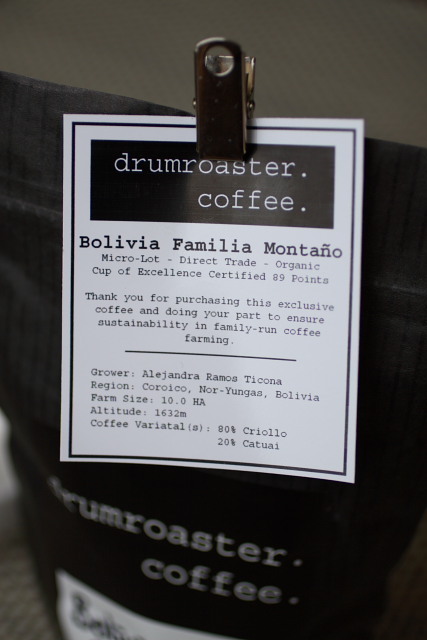 If you live on Vancouver Island or know someone who is carrying this Bolivian COE – Café Montaña… jump at it! Thank you Colin for your kind words. We have grown quite fond of this lovely coffee and have had lots of complements. 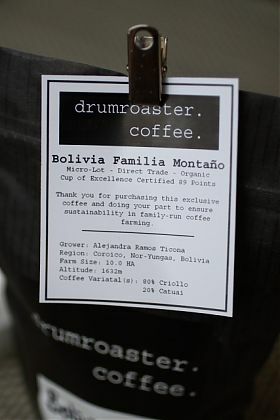 We would like to also thank the Montaño Family for pouring their life and soul into growing such beautiful coffee, bravo. Kudos to my friends over @ Level Ground for diligently seeking Direct Trade with small coffee farmers to help them directly source equipment to produce coffees like this. pour-over, press or SO espresso.